Stefan Denifl will step back to the WorldTour with CCC Team, currently known as BMC Racing Team. The Austrian was without a team after the disappearance of Aqua Blue Sport. 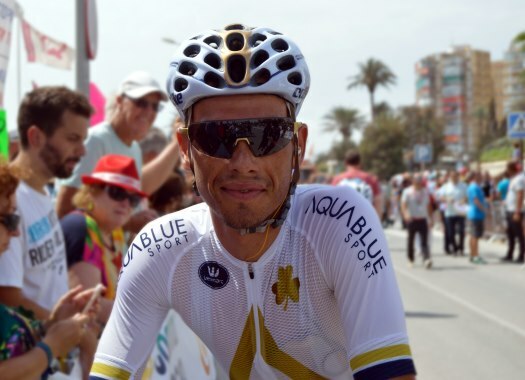 The rider was at Aqua Blue Sport in the 2017 and 2018 seasons, a team to which he arrived after IAM Cycling also dissolved. The highlights of Denifl's palmares include an overall win at the Tour of Austria and a victory at the 17th stage of the 2017 Vuelta a España. "The end of Aqua Blue Sport was a big blow for all of us," the Austrian commented. "I was under contract until the end of 2019 so I wasn't talking to any teams. The rider market that late in the season is always complicated so I am very happy to sign with CCC Team. When looking at the teams with openings, it was clear that CCC Team was my first choice. It is an international squad with strong riders, good staff and a solid structure in place, as well as an impressive new sponsor on board, and top material. There is not much more you can wish for as a rider. "I want to get back to my 2017 level where I was able to win a race here and there. Besides that, I am looking forward to racing as a team and making our fans and sponsors proud. Although my race program isn't yet determined, the Giro d'Italia would be really cool and it is my dream to race the Tour de France one day. Racing at the WorldTour level means there are so many good racing opportunities so I am excited to return to this level." CCC Team's general manager Jim Ochowicz knows what kind of value Denifl can have in the squad. "Stefan brings a wealth of experience to the team and will be an asset at the Ardennes classics and the hillier Monuments, Milan - San Remo and Il Lombardia," he explained. "We are looking forward to seeing what Stefan can do next year and we are excited to welcome the first rider from Austria, which is a key market for CCC, to the team."